It's about time that ninjas did something for charity, and that's why the Cobra 1st Legion was formed. The group is full of G.I. Joe cosplayers who dress up, visit cool locations around the SF Bay Area, and raise money for tons of worthy charities. Check out some pictures from their amazing photoshoots, below. They look like they are having a lot of fun. Plus, they got to explore aircraft carriers, submarines, and Alcatraz! While dressed as ninjas. I'm trying to figure out what could be more awesome than that, and I'm coming up blank. Click any image below to enlarge. 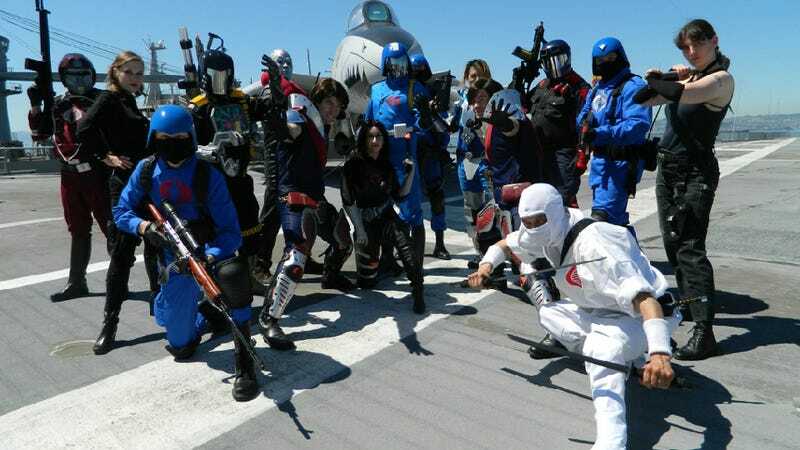 See a ton more incredible GI Joe cosplay on the Cobra 1st Legion site.